If you like playing card games, those that stand out from the classics, then you are in the right place. Here I propose a very personal card game and you will be able to help me to finish it to the end. 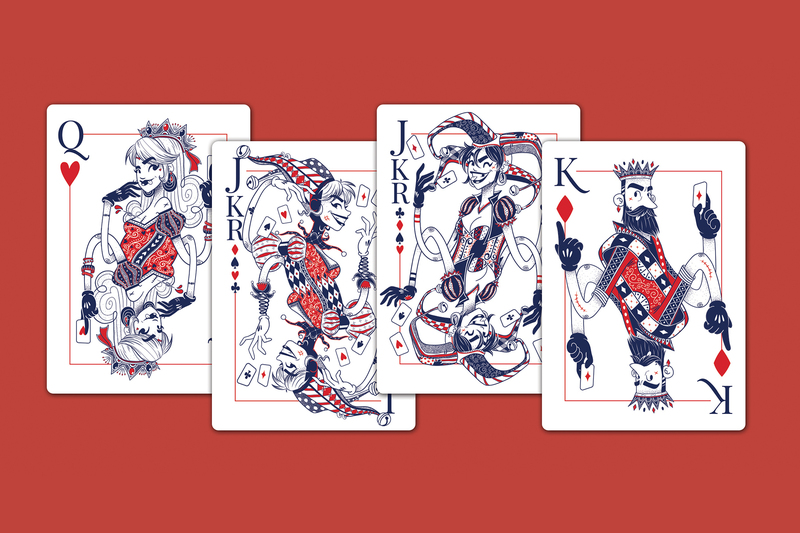 The crowdfunding campaign for the realization of my illustrated playing card game is soon ready! This campaign will go throught Ulule (a French Kickstarter), will start March 13, 2017 and will run for 30 days! 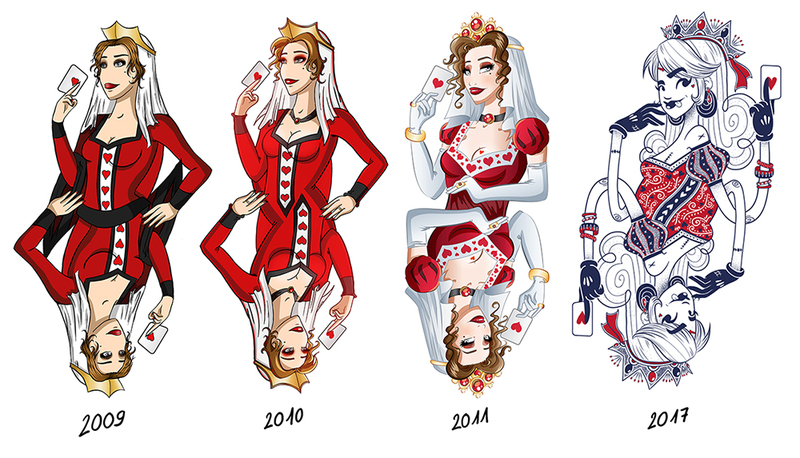 Since 2009 I want to print a deck of cards. It is a project that I like a lot. I had illustrated all the cards and had good feedback on their realization. A lot of times the game has been claimed by many people. The print costs and the absence of printers being able to produce small series below 500 pieces stopped the project three times. Today I found a printer who produces card games with no minimum order and this allows to concretize this project, finally. 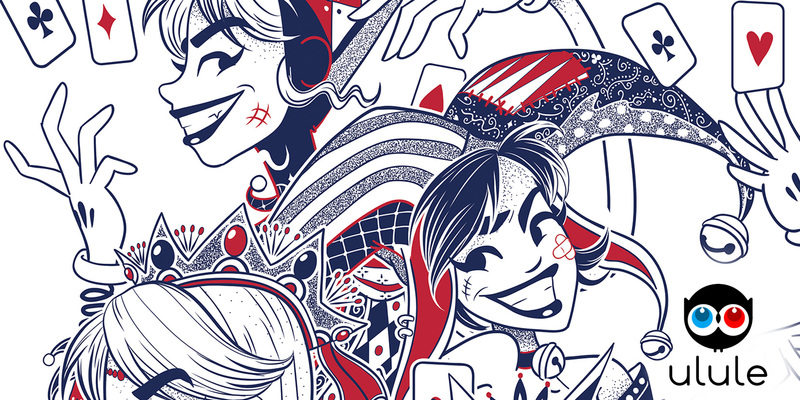 My style of illustration has since evolved a lot and took a new turn that I exploit totally. It corresponds to me more than ever. Returns from people are always more and more positive. This explains my wish to work again on this project, but by ending it this time to the end! This game will be produced in limited edition, and will be signed and numbered. I want to use a crowdfunding platform for the first time. It is a great adventure that will begin. See you on March 13, 2017!